It was the private rental figures that caught my eye. With eight or nine years of recovery since the Credit Crunch, economic recovery and continuing low interest rates have done little to setback the mounting need for rented housing. In fact, with house price inflation pushing upwards much quicker than wage growth, this has made owning your own home even more out of reach for many Millennials, all at a time when the number of council/social housing has shrunk by just over 2.5% since 2003, making more households move into private renting. 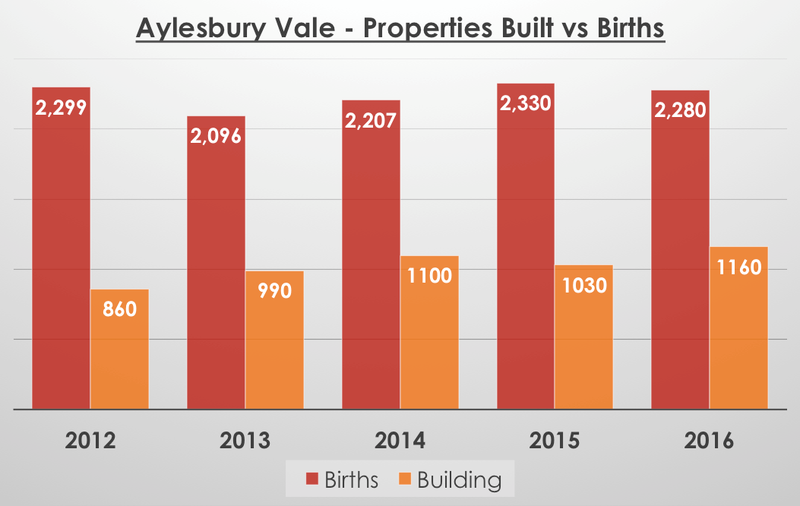 In the next nine years, looking at the future population growth statistics for the Aylesbury area and making careful and moderate calculations of what proportion of those extra people due to live in Aylesbury will rent as opposed to buy, in the next ten years, 4,784 people (adults and children combined) will require a private rented property to live in. That’s 224 additional Aylesbury properties per year that will need to be bought by Aylesbury landlords, for the next nine years to meet that demand. … and remember, I am being conservative (with a small ‘c’) with those calculations, as demand for privately rented homes in Aylesbury could still rise more abruptly than I have predicted as I would ask if Theresa May’s policies of building 400,000 affordable homes (which would syphon in this 5-year Parliamentary term is rather optimistic, if not fanciful? So, you have to wonder if it was wise to introduce a buy to let stamp duty surcharge of 3% and the constraint on mortgage tax relief that could curtail and hold back the ability of private landlords to expand their portfolios? 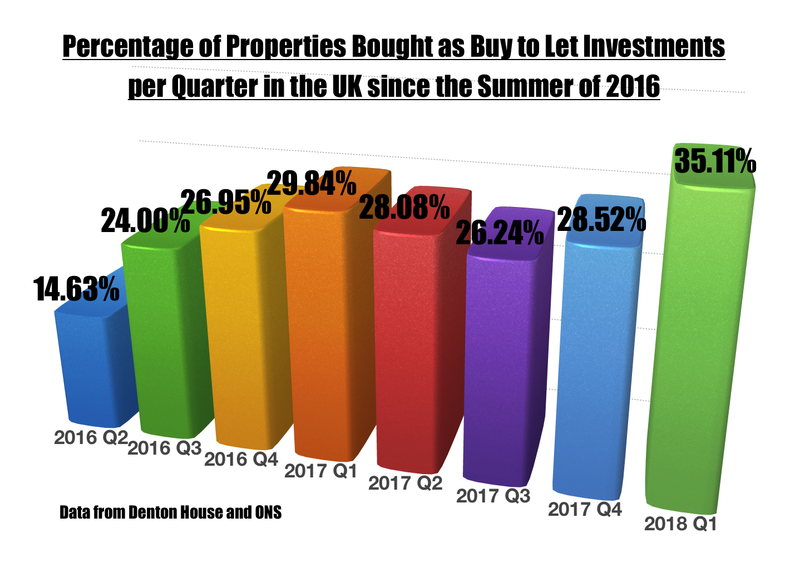 There is good news for Aylesbury buy to let landlords as ‘top of the range’ well-presented properties are getting really decent rents compared to a year ago however, this rise in rents is thwarting many potential first time buyers from saving for both a deposit and money for a rainy day. 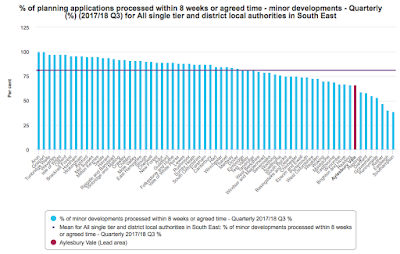 On top of this, there is also a shortage of Aylesbury homes coming on the market thus adding fuel to the slowdown and affecting not just Aylesbury first time buyers but also those going up the housing ladder. Looking at the most recent set of data from the Land Registry for Aylesbury (the HP20 postcode in particular), the figures show the indifferent nature of the current Aylesbury property market. Aylesbury property values and transactions continue to be sluggish, and the monthly peaks and troughs of house prices and properties changing hands doesn’t mask the deficiency of suitable realistically priced property coming onto the Aylesbury property market, meaning the housing market is slowly becoming inaccessible to some would-be home owners. 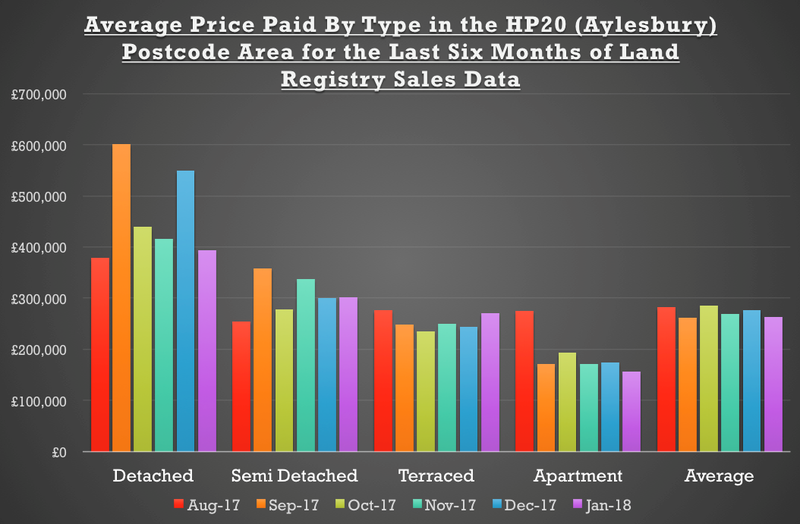 Looking at what each property type is selling for in HP20 (note the data from the Land Registry is always 4/5 months behind) makes interesting reading …. We must remember these are the average prices paid, so it only takes a run of a few expensive or cheaper property types (as can be seen with the variance in the Apartments and Semi-Detached in the table) to affect the figures.. Looking at the numbers of properties for sale … I looked at my research for early Summer 2008, and at that time, 1,343 properties were on the market for sale in Aylesbury.. and when I did my research on this article today, just 781 properties for sale.. a drop of 42%. The Government needs to seriously consider the supply and demand of the UK property market as a whole to ensure it doesn’t seize up. It needs to do that with bold and forward-thinking plans but, in the meantime, people still need a roof over their head, so as local authorities don’t have the cash to build new houses anymore, it’s the job of Aylesbury landlords to take up the slack. I must stress though, I have noticed a distinct ‘flight to quality’ by Aylesbury tenants, who are prepared to pay a little more for an exceptional home to rent. If you want to know what tenants are looking for and what type of things you as an Aylesbury landlord need to do to maximise your rental returns – drop me a line. It’s been nearly 18 months since Sajid Javid, the Tory Government’s Housing Minister published the White Paper “Fixing the Broken UK Housing Market”, meanwhile Aylesbury property values continue to drop at 0.2% (year on year for the council area) and the number of new homes being constructed locally bumps along at a snail’s pace, creating a potential perfect storm for those looking to buy and sell. The White Paper is important for the UK and Aylesbury people, as it will ensure we have long-term stability and longevity in property market as whole. Aylesbury home-owners and Aylesbury landlords need to be aware of these issues in the report to ensure they don’t lose out and ensure the local housing market is fit for purpose. The White Paper wanted more homes to be built in the next couple of decades, so it might seem counter-intuitive for existing home-owners and landlords to encourage more homes to be built and a change in the direction of housing provision – as this would appear to have a negative effect on their own property. Yet the country needs a diversified and fluid property market to allow the economy as whole to grow and flourish ... which in turn will be a greater influence on whether prices go up or down in the long term. I am sure every homeowner or landlord in Aylesbury doesn’t want another housing crisis like we had in 1974, 1988 and most recently in 2008. For planning to work, we need a robust Planning Dept. 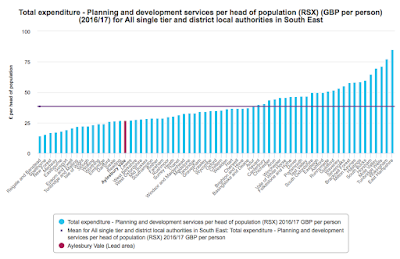 Looking at data from the Local Government’s Association, in Aylesbury Vale, the council is below the regional average, only spending £26.88 per person for the Planning Authority, compared the regional average of £38.14 per head – which will mean the planning department will be hard pressed to meet those targets. 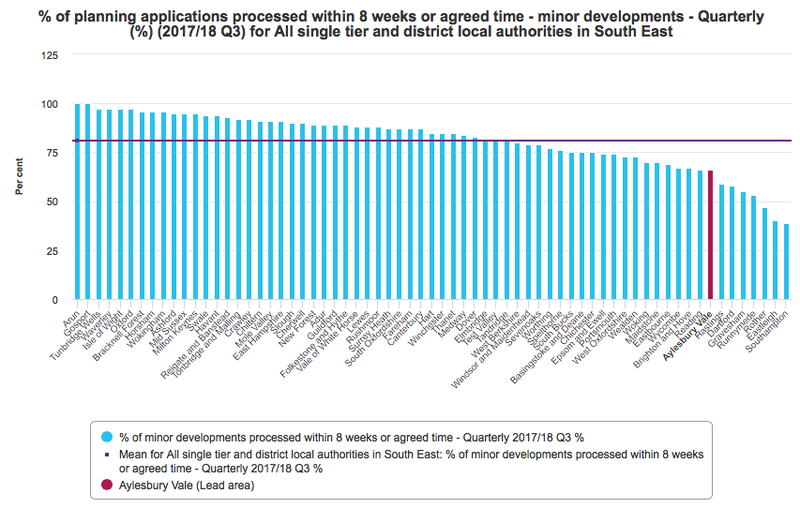 Also, 66% of planning applications are decided within the statutory 8-week initial period, below the regional average of 81% (see the graph below). I am slightly disappointed with the numbers for our local authority when it comes to the planning and the budget allowed to this vital service. It won’t surprise you that 87,638 of 174,137 Aylesbury Vale residents live in the urban conurbations of the authority, giving a density of 14.6 people per hectare (again – much lower than I initially thought), whilst the villages have a density of 1.0 people per hectare. Talking to a lot of Aylesbury people, their biggest fear of all this building is a lack of infrastructure for those extra houses (the extra roads, doctors surgeries, schools etc.). I know most Aylesbury homeowners and landlords want more houses to be built to house their family and friends ... but irrespective of the density ... it’s the infrastructure that goes with the housing that is just as important ... and this is where I think the White Paper failed to go as far as I feel it should have done. 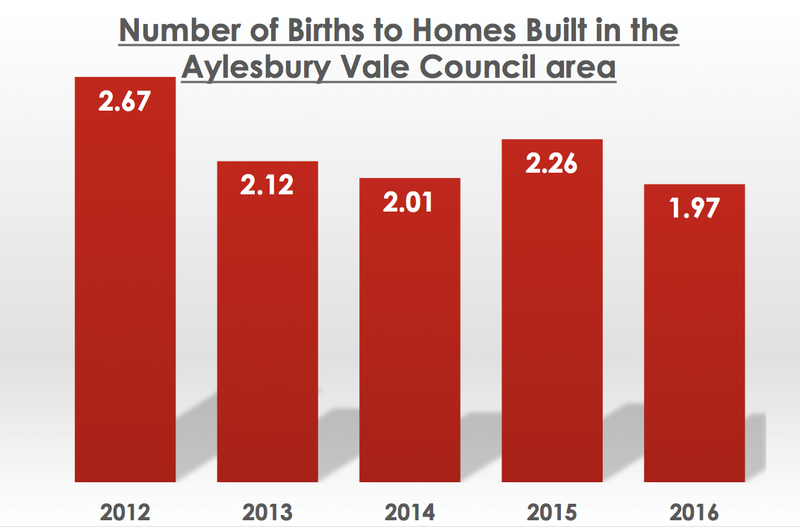 More than 2 babies have been born for every new home that has been built in Aylesbury Vale since 2012, deepening the Aylesbury housing shortage. This discovery is an important foundation for my concerns about the future of the Aylesbury property market - when you consider the battle that todays twenty and thirty somethings face in order to buy their first home and get on the Aylesbury property ladder. This is particularly ironic as these Aylesbury youngsters’ are being born in an age when the number of new babies born to new homes was far lower. 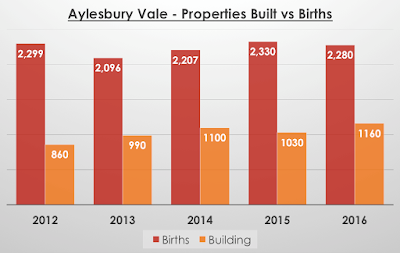 It can be seen that in 2016, 1.97 babies had been born in Aylesbury Vale for every home that had been built in the five years to the end of 2016 (the most up to date data). Interestingly, that ratio nationally was 2.9 babies to every home built in the ‘50s and 2.4 in the ‘70s. I have seen the unaudited 2017 statistics and the picture isn’t any better! (I will share those when they are released later in the year). Owning a home is a measure many Brits to aspire to. The only long-term measure that will help is the building of more new homes on a scale not seen since the 50’s and 60’s, which means we would need to aim to at least double the number of homes we build annually. In the meantime, what does this mean for Aylesbury landlords and homeowners? Well the demand for rental properties in Aylesbury in the short term will remain high and until the rate of building grows substantially, this means rents will remain strong and correspondingly, property values will remain robust.